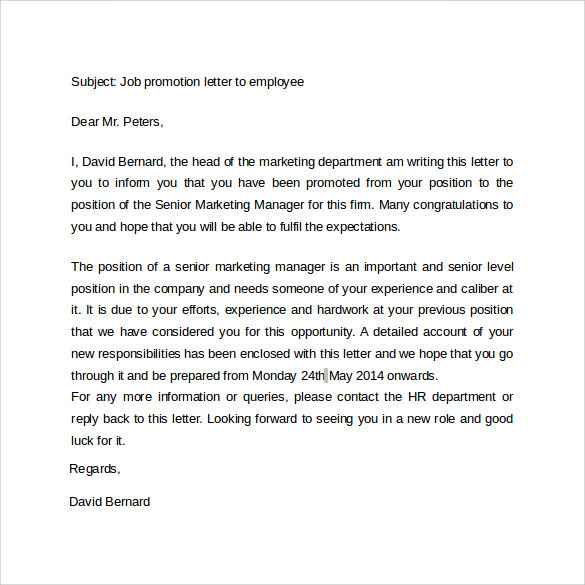 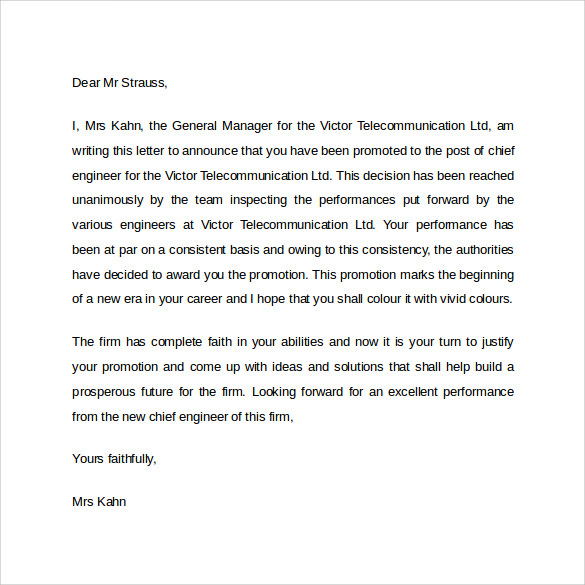 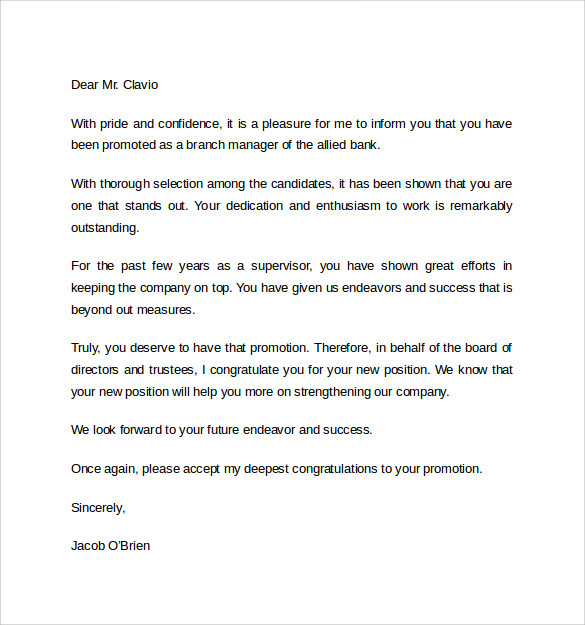 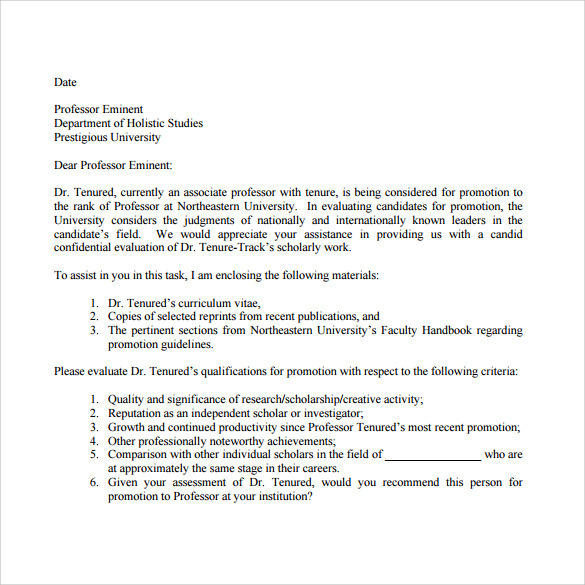 Letters which are featuring job promotions, or official documents, recognized as promotion letter that are mail out to an employee to notify him or her regarding the promotion that he or she has been given. 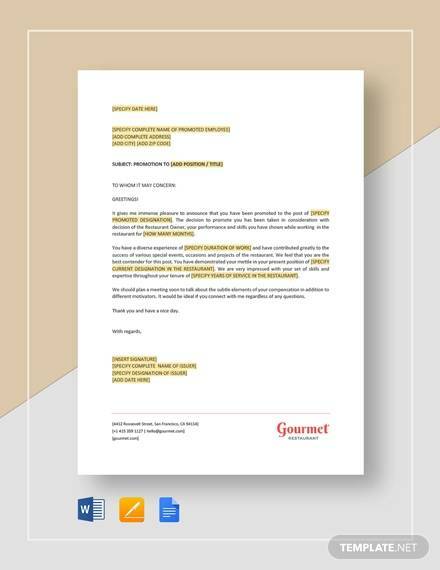 One of the hardest tasks of business writing, particularly letters, is to uphold a tone of geniality as well as professionalism whilst drafting a letter particularly when the letter is being drafted to cheer someone as well as give them a commendation. 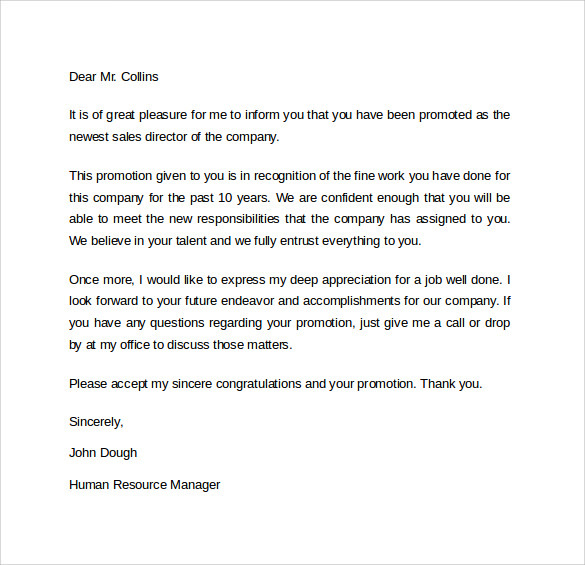 This job Recommendation Letter generally rests with the department of the human resource management of the company as well as the department head of the same is requisite to draft the promotion letter to be sent out to an employee. 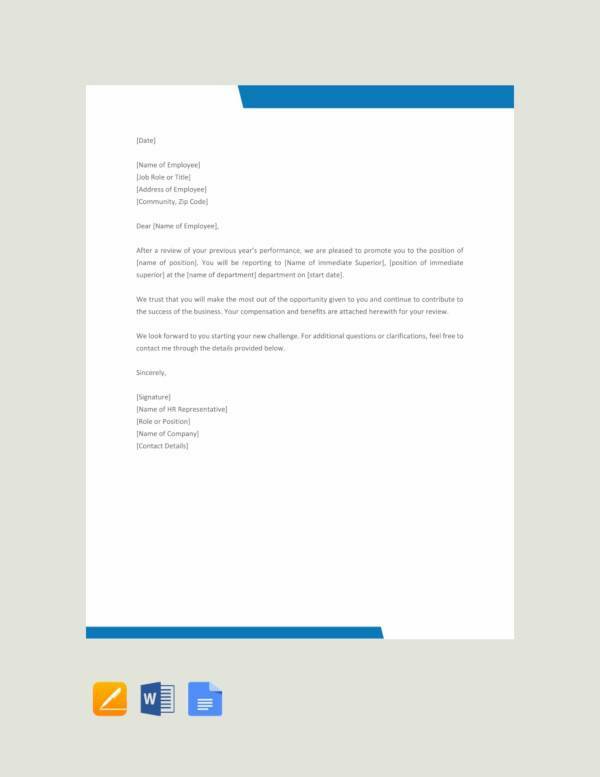 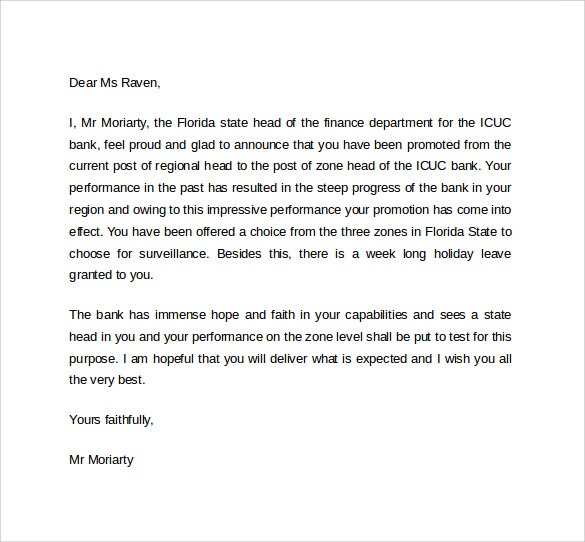 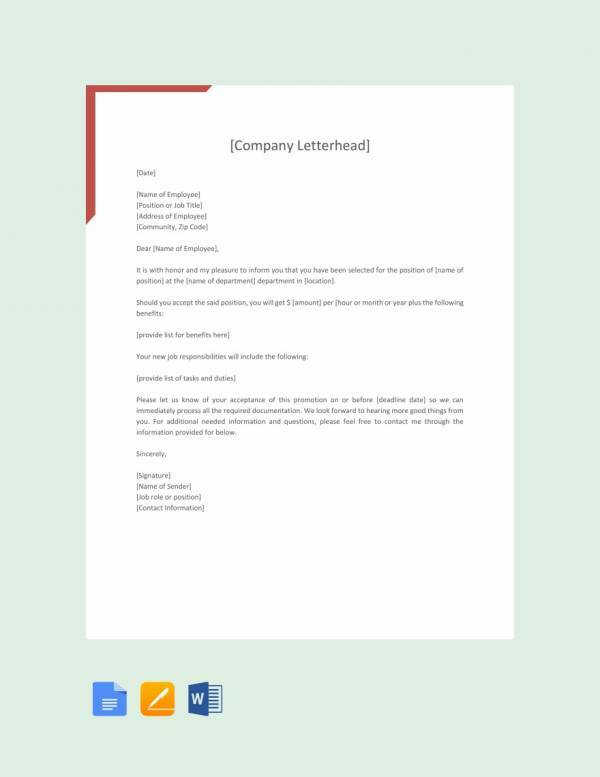 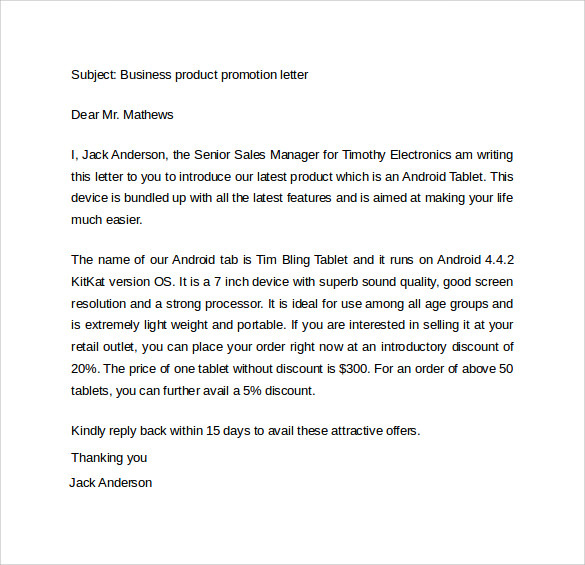 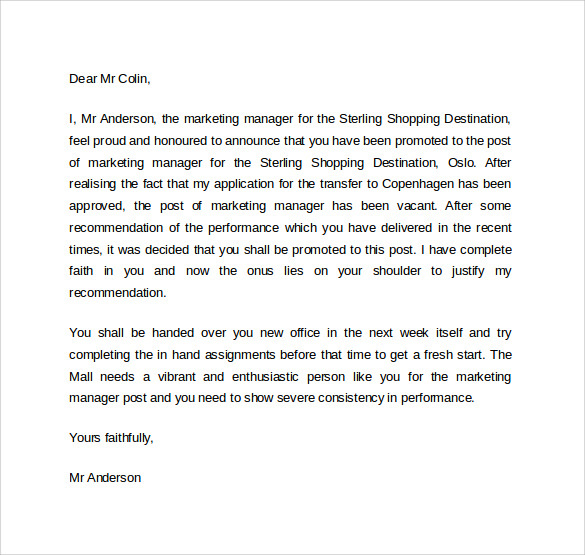 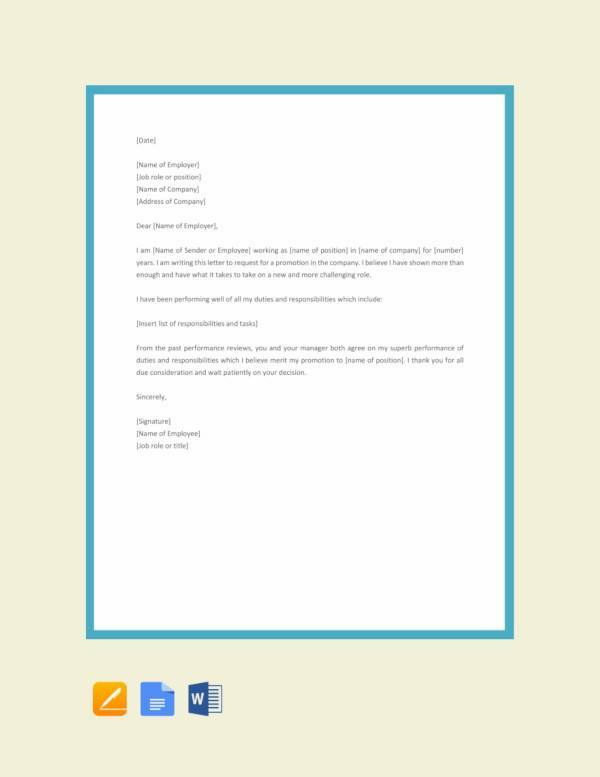 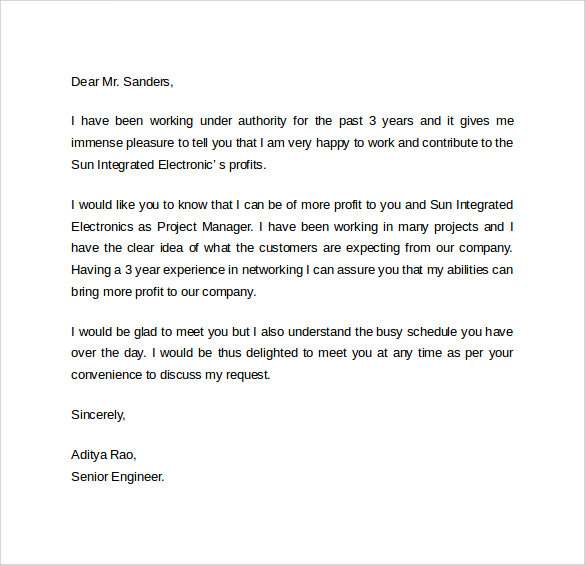 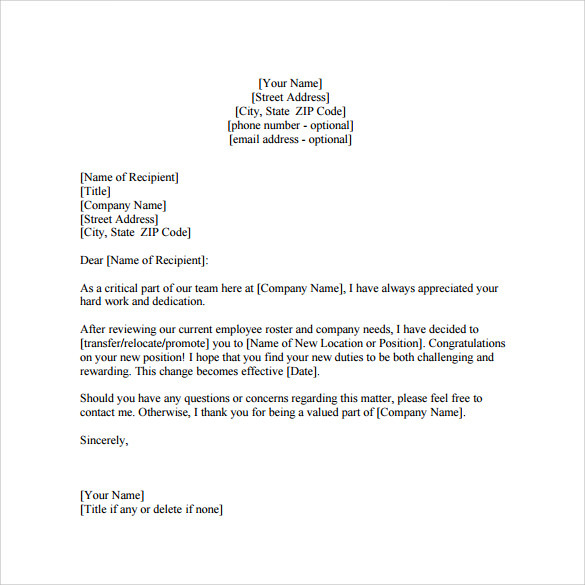 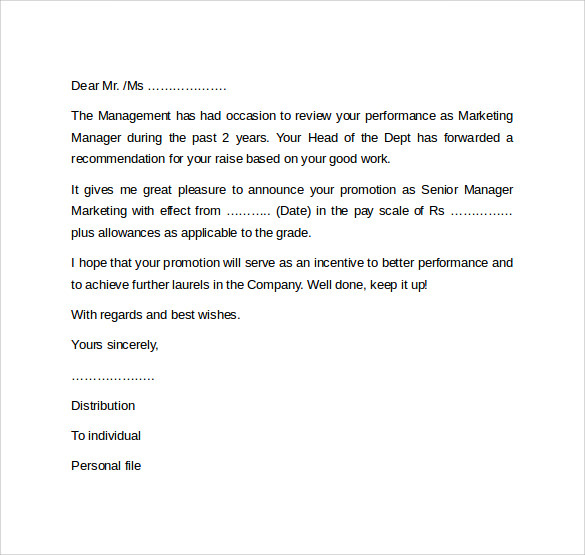 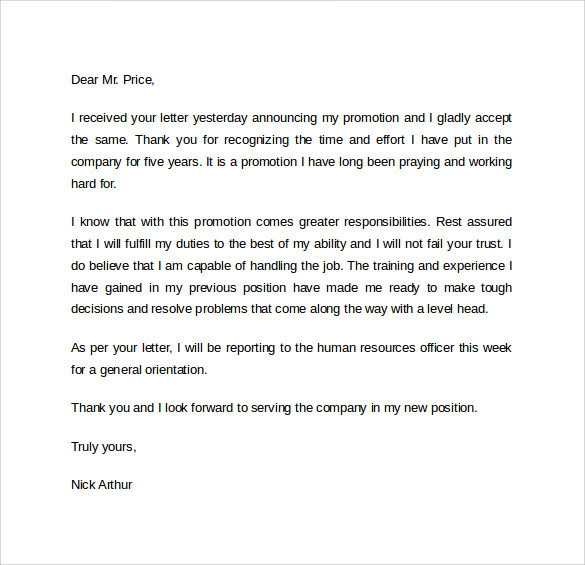 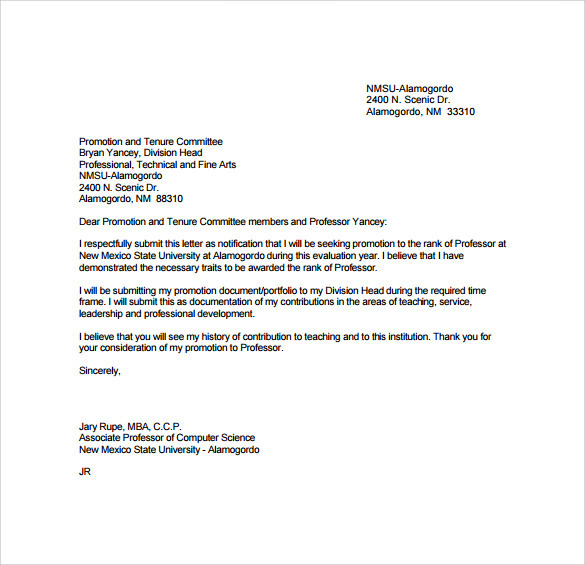 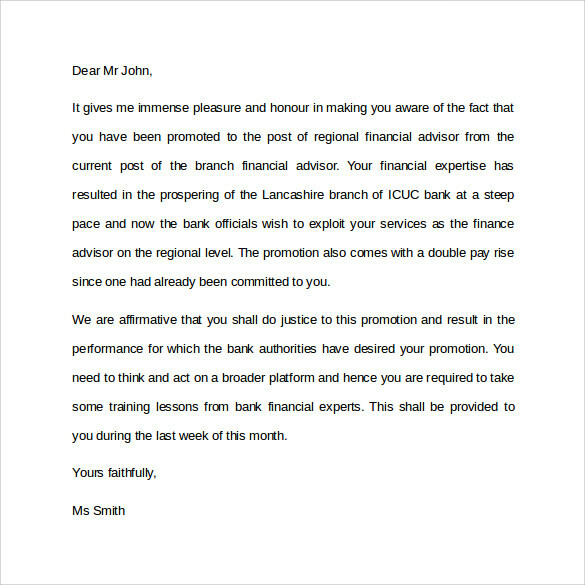 This type of letter will give a number of tips on writing a letter to notify an member of staff of a job promotion.